My husband, Isaac, recently presented me with an affectionately inscribed Israeli cookbook, a coffee table book, cloth-covered, with gorgeous print type. Every page is a lush getaway. It was a Mother’s Day gift from him, my son who can’t stop kissing me, and my daughter who feels everything, dances and sings her ideas out. This cookbook stirs-up old memories and desires. I want to make the lemony leek meatballs and learn the trillion ways to use chickpeas. What ingredients can I collect here, in this land of seaweed, mushrooms, renowned fish, cooking with mirin? I open the book and picture myself again in the Old City marketplace, the shuk on the inside cover. I want saffron and date palms. I want my husband home earlier on Friday nights, not working his way to the bone, the cultural norm here in Japan. I imagine the thick intrigue of a Hebrew accent though I instead have a bundle of Japanese vocabulary. When Isaac and I got married, we knew we would have to leave our eastern seaboard of the US, but for which country? 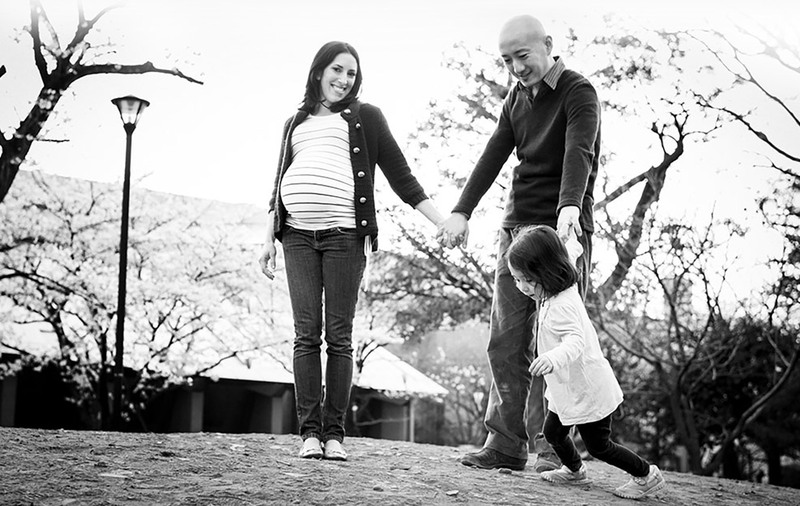 Marrying a non-US citizen was to be bound-up with a host of decisions for navigation, and we thought about Israel but Isaac was Japanese, and it seemed the least safe, least sensible thing to do. So as I sit in my home in Japan, when I think of a pull eastward, I still dream of Israel and the idyllic homecoming I had missed years before. I was in Israel just once, eleven years ago, when I was 24. I was there for ten days, touring the country in a bus full of my closest friends, my rabbi and his wife. I arrived in Ben Gurion Airport, laughing with my jet-lagged friends, but sensing the grand momentum of traveling to the Jewish state, the state created after the Holocaust, the state which called to young Zionist everywhere. Even my mom years earlier had spent months in that desert landscape which blossomed and bloomed under the faithful toiling of its settlers. This was the place many of my friends would later take in exchange of their cozy American language and lifestyle, even enrolling in the Israel Defense Force combat units. They inevitably got their noses pierces and developed toned, tan bodies and attitudes, unstinting and unswerving in the desert heat and Jerusalem snow. This ‘home’ would unroll its magic carpet for me, too, but not all the way. Maybe I wasn’t quite ready for it yet. I tried to be laid-back, interested in all those young IDF soldiers backpacking and meeting up with friends, everyone in either the army’s combat boots or the civilians’ leather sandals. My friends had gone boy-crazy for this place, it its entirety! I tried to only love the real-life history of being in what many call the center of the whole world, the past, present, and future focus. I tried to take-in the pomegranates, the nectar of freshly pressed melon and Valencia juices, tried to only taste zatar and mint, the nuttiness of felafel, but fear gripped me when our tour guide pointed-out where terrorists’ blasts had ended lives. It was the very cafe I was currently admiring, noting the relaxed cafe culture on and near Ben Yehuda Street, with its outdoor musicians, shwarma and pita shops, boutiques, and Judaica shops with jewelry and candles. Coffee shops with bistro chairs out front like Paris. A group of kindergarteners passed with their teachers, each child gorgeous and tender in a sometimes volatile place. Cafe Hillel had been the target of a major terror attack in 2003, just one year earlier. Glass from the sandwich case had shattered everywhere, colliding with walls, tables, chair legs, and all the people who had been relaxing there moments before—people like those now sitting in front of the café. So many casualties. This was the reality, as real as the Shoa, or Holocaust. This is Israel? A place you could get blown-up in? Not just facts from the Bible or from the Six- Day War; intifada had blown-up here and continued to rile and reverberate, though this main street was alive, hopping and possessing a palpable buzz. I felt sick to my stomach. This “home” was dangerous. Where do we run when this was refuge after Hitler tried to kill us all? I was afraid to step into cafes and felt more in-tune with danger, to which my body started to respond. Later that day or the next, we were an intimate audience to a prominent journalist covering all things Middle East, all stories focused on Jerusalem. He told us of bunkering under tables, and of buses blown up before his eyes in The Second Intifada as well as of the dangers of shrapnel he barely avoided. Suddenly, I was wading in grief and fear. The horrific facts kept coming, scattered in laughter and the lookout from Mount Masada, where we climbed in brutal, take-water-bottles-and-tiea- hankerchief-around-your-head-andkeep- dousing-yourself-weather. Israel, I learned, was just a skinny almond sliver set in a harsh landscape of brutality, surrounded by countries wanting her dead. Growing up in my largely Jewish high school, my Jewish ‘challenge’ was sometimes juggling three Bar or Bat Mitzvahs in one weekend. Naively, I had thought hatred for Jews died in the Holocaust, but now the reality of impending terror settled in, stamping my minted passport. There we were, in a hotel meeting room with folding chairs and a man who’d lived through so many attacks. I fled the room to get distance from his real life terror stories. My response continued to escalate. Later, at the beaches of Tel Aviv, strolling the boardwalk and swirling brick, I saw the stone placard memorializing young people who’d lost their lives outside the Dolphinarium Discotheque night club, twenty-one dead and 132 injured, all teenagers. The concrete building loomed-up, abandoned, in memoriam. How do you let it go? How do you pray and not take it in? Fear, like smoke, clung to my clothes, adhered to my very nostrils so that every breath brought in more acridness. That night, from my single room with a balcony overlooking the Mount of Olives, I thought my heart was truly truly giving out. I called my mother on the phone. She helped me breathe through what was most likely a panic attack. “It feels real, Mom! What if my heart just stops? My veins are blue, so blue in my hand!” They looked like webbing; everything throbbed and nothing was clear, not even in the bathroom light. Was blood backing up? I needed proof to confirm I was okay, a quick medical intervention. “Honey? Can you go outside? Talk to me while you get some nice breaths of fresh air. Slowly breathe,” she coached. I paced on the terrace outside the room’s sliding doors. We overlooked The Temple Mount, its golden dome catching the nighttime lights. Rapidly sipping, skimming air, struggling for oxygen, I saw the Mount of Olives. “Sweetie, I love you. You are okay,” she assured. She gave me relaxation exercises and it was enough to get me through that night. I called her back a few times to hear her reassuring voice. The next day, instead of lunching and praying with my friends at the Kotel, with its Bar Mitzvahs and wrapped teffilfin, prayer shawls, and folded-up squares of paper whispered in chants and tucked between stone, my day was spent in Hadassah Hospital. I had a very unique look into a premier hospital, vigilant in treating victims of terror. Those doctors and nurses had plucked out bits from buses as thin as tin foil from organs, the makings of suicide bombs from fragile lobes of the brain, treating Arabs, Christians, everyone in their gauzy gowns with the Magen David printed on the back. I donned my own hospital gown upon admittance and looked around at the sick, the well, a mom checking-in to deliver her baby boy. This was Israel as much as the Kotel, as much as planting a tree, which we also did. I was in Israel, in their hospital, little me, taking in the kindness, the restraint, the loud and funny lilts of Hebrew and Russian with Amharic sprinkled in. Later, I checked-out as if paying a restaurant bill. I carried all the files and EKG squiggles that said I had a floppy valve, something I was told that I needed to follow-up with when I returned to the US. It hadn’t just been a panic attack after all. Later, I walked over to the Kotel and found my group joyful and ready to move on. Brenda and Janet, Christiana and Gloria, all of my tanned friends wearing the respectful long skirts at The Wall, welcomed me with boisterous hugs. It was like walking out of a movie theatre, after a matinee, and discovering the whole world had been going on. Bright. We walked Ben Yehudah Street with sunglasses and hats. I strolled. This was Israel, we collectively applauded this earth when we had landed coated in a dreamlike aura. But it was supposed to feel like home, and it had instead scared me. A country’s realities are not listed in the tourism brochures. You also can’t quite predict how you will feel when you finally reach ‘home’. Years later, my four-year old daughter asks if we can visit Israel. I think she expects to see Grover from our Shalom Sesame videos. I want safety for my children. I want to feel the grooves of Jerusalem stone, want us to stroll in freedom, want my little guy to wear his toddler kippah without my fear. I long to see the people of Israel protected, stable, and secure like Mount Zion, to see us, free to express our faith and heritage without the need for fear. I post anger at anti-Jewish hate. I cannot quell the need for truth to prevail. I dream again of Israel. And even so, violence comes. Israelis I meet encourage me to just talk about Israel, about life there. There is no apartheid; there are, however, displaced people. There are people who don’t want land; they just want Jews dead. I can support families, support soldiers, congregations, ministries that promote peace, organizations that fit terror victims with new hands and titanium legs. I can find people in and between the walls, see peace in my memories and in the welcome mat that is Israel. Seek peace and pursue it, the Torah says, wherever you are. Sometimes I am a terrific motivational speaker. Sometimes I feel dread, new and lingering anxiety. My husband comes home to find me weeping at the laptop, where I’ve become an expert on the Sbarro attack and Hillel Cafe where I’ve just learned so much about the dear Applebaums and the responsible parties of evil terrorists exchanged for our soldier. He says that when I feel this anxiety and read of new reports of terror, the best thing to do is pray. Just pray. And when it happens again? Pray. He lived there, in Jerusalem in the year 2000, when The Second Intifada began and bombs could make any bus blow up. Bombs and human bombs went off very close by. He says that eventually, praying becomes automatic. It won’t have to be a conscious step, but something you just do, a new response. Also, you learn to keep moving. Life can’t stop, shouldn’t stop. This is what a friend in Jerusalem also says. She works in Hadassah’s Labor and Delivery Unit. “Yes”, she says, “It is true that Israelis are also tough. They have to be. Growing up in Israel, you grow up in the threat of terror all the time. At certain times, you have to be more careful,” she explains, “but you learn to continue your life.” I feel this, too, when I’m flying through turbulence just days after another missing plane. I felt this in the March 11 Japan disaster. You have life waiting, the irresistible need to stay the course with power. It is faith in the world, your family needs you. Generations need me to stand up and keep moving. She says Israelis learn to mix sadness with happiness. That’s a lot to think about. I want to be tough, yet I don’t want to loose my innocence, my belief in the world’s goodness, my inner-Narnia. I want to keep a sweetness and not let it all seep out like syrup on its side, cap left off. I think of the word, “sabra,” the cactus native to Israel, so prickly, but tender on the inside. This is a fitting moniker for Israelis. I choose to be tough, to model more of an unbreakable spirit, though I have a fragile start. I fret over the issue of international travel, living in Tokyo, where we fly from to see family back in South Florida. My heart goes off in warning shots with every emergency news brief, every Huffington Post and serious blurb on social media. We really do have reason to be fearful, but we also have every reason to light-up in the power of joy, call off our cells’ anxiety with the act of a firm stance and a real smile. If I wait until all is perfect to feel joy, I just won’t. This is obviously an imperfect world. Just look at your news feed. Joy can be anytime if it is that deep, abiding kind. If it is permitted to mix and mingle with the sadness, well, that joy is certainly complex. It is a wine fermented in promises, weddings with friends, and the memory of loss. When I again say at the next Yom Kippur, “L'shana habaah b’yerushalayim,” “Next Year in Jerusalem,” I think I mean it. I’ll think I’ll know what to do with my anxiety. One day after teaching, I run into Hebrew being spoken by a husband and wife in a drug store. They need the subway station; I’m happy to take them. We saunter and kibbitz about their trip from just outside Tel Aviv. Things are not great there now. I want to invite them back to our home for Shabbat. These are my people. “So maybe you will come to Israel,” they offer, and give me their card. Maybe I will. I now long to at least visit again. There is a festival here in Japan called Setsubun. A family member will don a scary demon (oni, in Japanese) mask, horns and all, and all the family will throw dried soybeans at the poor monster. It is like kicking the Wild Things or Gremlins out of your home. There is a chant, “Oni wa soto, fuku wa uchi! Out, demon, out! In, luck. Come in, blessing”. This is what I now do when reading terrible headlines. Yes, this is happening right now. Yes, it looks ferocious and terrible. It is like that part in Where the Wild Things Are, when they “roared their terrible roars and gnashed their terrible teeth and rolled their terrible eyes and showed their terrible claws.” Fear does that. Ogres in the land of Jerusalem do that. Monsters want us to believe they are the shirt under our beds or the chambray shirtdress in our closet. Sometimes maybe they are. But before they even get in my home or camp out in my head, before they make me want to dismiss any future calling to Israel, I say, “Get out.” I’ll pretend to chuck some dried-up soybeans at them and yell, “Get out. Only blessings belong here!” I can’t run from the news and I shouldn’t, but I can decide how to respond. There are a good number of our friends living their lives in the Holy Land, raising kids, throwing bridal showers, enjoying a Shabbat stroll, and an enchanting week of living in a sukkah. There are very real threats, there are sirens, and yes, sometimes very real fears. But they choose to go on living in a place that knows tremendous joy in addition to pain. If I go back, I’ll choose to cultivate faith, to stay long enough to see that dried-up soybean land and sprout. I smile now as I think back to my trip to Israel. Every time I tell my kids about the ancient Temple, about Moses and the people wanting, hungering, being satisfied, I grow decidedly stronger. I am tougher than before, not so easily scared. 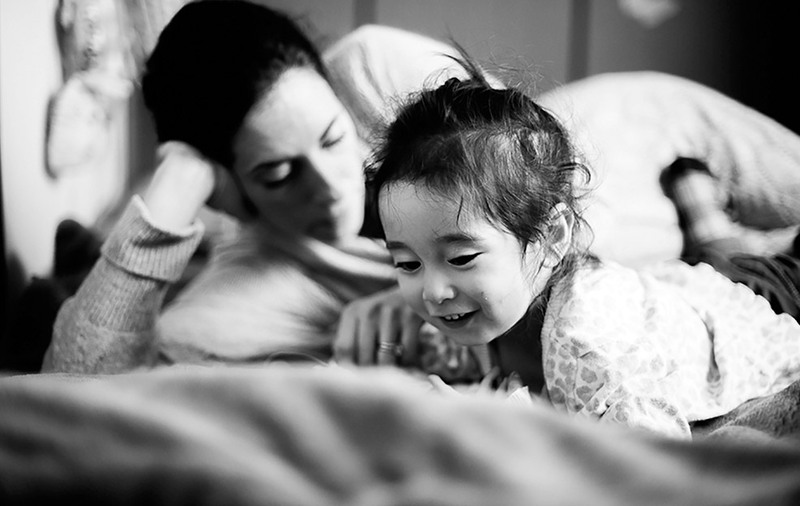 There are kids now, a new generation that will need land and a plan and real eyes to peer into the land, from Japan or America or wherever we’ll be. I see through the ogre’s mask and into my heart, the one with the floppy valve that can let junk in. I am David with slingshot, Miriam with a tambourine. I shake my voice, hold it out in the wind. The uncertainty of moments sheltered and cupped by the Eternal. Hashem, G-d, stays the same, but I know, with a gleam, I’ve changed. What will I say next time to my daughter when she again points to my cookbook and asks me to take her there too? 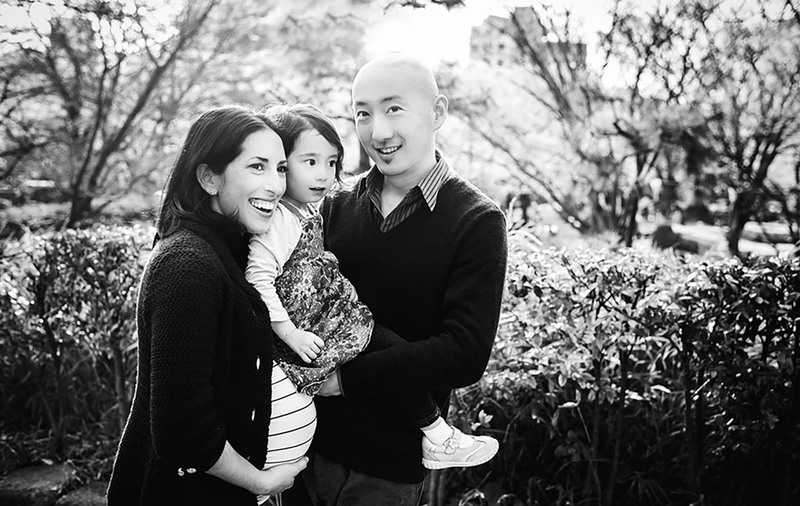 Melissa lives in Tokyo with her husband and two children. She has contributed to a number of blogs, books and publications.